Lady Care Review (UPDATED 2019): Don't Buy Before You Read This! Lady Care is a device that attaches to users’ underwear to provide relief from menopause symptoms. Lady Care works by targeting the automatic nervous system, or ANS, which aims to create a sense of balance for users. Lady Care works by reducing excessive activity in the sympathetic nervous system and increasing activity in the parasympathetic nervous system. By restoring the equilibrium in the two parts of the ANS, users reportedly will experience a reduction in symptoms like sweating, hot flashes, anxiety and more. In looking at the science behind multiple forms of menopause care, we’ve found that Femmetrinol most effectively helps users eliminate most symptoms and get back to their lives. 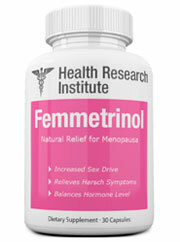 Click the link to see how Femmetrinol works and how it can help you get through menopause. 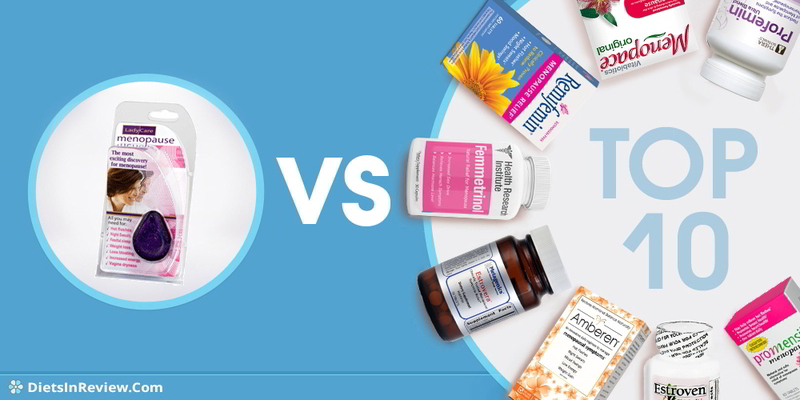 Do you know the Best Menopause Supplements of 2019? Lady Care is a magnetic device, so users are at a reduced risk of developing the negative side effects they might experience with HRT or with certain supplements. The makers of Lady Care claim this product works to alleviate the symptoms of menopause by rebalancing the body’s autonomic nervous system, or ANS. The ANS has two parts, the sympathetic nervous system and the parasympathetic. The sympathetic portion of the ANS is associated with the body’s fight or flight response and becomes overactive during menopause—causing the typical symptoms that come along with the transition — night sweats, hot flashes, anxiety, depression and more. The parasympathetic portion helps the body digest food, calm the nerves and more. It slows down the body’s heart rate during times of stress. Unfortunately, the official website fails to lay out how a magnet actually works to balance out the two parts of the ANS or how this is approach is better than taking a supplement. Magnets are typically used for those suffering from pain — joint pain, back pain, arthritis, fibromyalgia, etc. Magnet therapy in general does not have sufficient evidence for any of its purported uses and may not be safe for some users with insulin pumps, pacemakers or other internal devices. That being said, there are few reported side effects associated with using magnets. Nervous about the effects of HRT? Your guide to safer herbal solutions after the jump. EDITOR’S TIP: Combine this supplement with a proven menopause pill such as Femmetrinol for better results. Lady Care doesn’t contain any ingredients, so the risk for an adverse reaction is relatively low, at least based on the information we came across during our research. Unfortunately, there just isn’t enough evidence backing the use of this product. Several online searches regarding the use of magnets to treat menopause symptoms did not yield any results other than the FAQ section on the Lady Care website. There were a few off-hand mentions of this product on some niche blogs that specialize in reviewing menopause, but nothing citing any scientific research, patient trials or anything else offering an extra layer of credibility. Lady Care did have some, though not many, positive reviews, which is interesting. Magnet therapy, in general does not have much evidence that suggests its good for anything, let alone menopause — but perhaps there’s something there. In any case, we think it’s wise to look elsewhere for another menopause product with more promising results. See which menopause solution is right for you. Our guide to the best herbal ingredients when you click the link here. 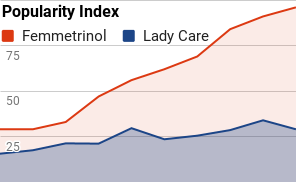 Lady Care is available in both the US and the UK. The device sells for $59 on the official webpage and charges a flat rate of $6.95 for shipping and handling. Users may be able to find this product elsewhere, too. It’s available on Amazon for $52.25, though it normally retails for $59 on this platform as well. It’s hard to say whether this product is a good value. On the one hand, Lady Care costs about the same amount as a couple months’ worth of your average menopause supplement and hypothetically lasts for five years. On the other hand, it doesn’t have great reviews and bases its claims on science that remains largely unproven. Take on all menopause symptoms once and for all. Click here to learn more about the various treatment options available today. The official website for Lady Care looks old and features way too much text. We understand that this product needs a bit of an explanation, but the makers of this product don’t really do a great job in explaining what, exactly the Lady Care is. As we’ve mentioned already, the Lady Care device is a magnet, designed to control the nervous system and reduce the symptoms associated with menopause. Yet, the site doesn’t really explain that this device is a magnet and all the descriptions about how it works don’t feel especially straightforward. We felt confused during our review of this product and are certain at least some of the website visitors feel the same. Additionally, we have an issue with the fact that Lady Care, the company, is responsible for nearly all of the published information available for consumers looking for evidence that a magnet can take the place of a supplement or doctor-prescribed hormone treatment. There’s little evidence that proves the efficacy of magnet therapy and it’s hard for us to get behind a product that still needs a bit more research. Lady Care did work for some reviewers, but the bulk of the reviews we came across suggested this product does not work for most people. We understand that some users may be averse to taking supplements or hormone replacement therapies, but some users did report that the device made them feel dizzy or nauseous, so the possibility of an adverse reaction still exists. Just from looking at the reviews alone, we feel that there are numerous solutions that better take on the symptoms of menopause and have more research, as well as positive reviews behind them demonstrating quality and consistency. Click here to learn more about how to gain control of your body once again. Conclusion – Does Lady Care Work? Lady Care does not seem like a product that users can count on to deliver the kind of relief that they expect. The magnet technology does not have a whole lot of scientific data documenting its safety or efficacy, and even the product description doesn’t make all that much sense. Lady Care is based off the principle that the pull of the magnet can help balance out the two portions of the ANS — which the makers of this product claim are the cause of menopausal symptoms like sweating, hot flashes and fatigue, as well as the effects this transition has on mental health. It’s well-known that the real issue during menopause is the loss of estrogen and progesterone—which creates an imbalance in the body. Just about every menopause product addresses hormones in some way or another—whether that’s through an herbal supplement or a synthetic hormone replacement regimen. We tried to find more info, outside of the Lady Care website, and there’s very little information about the use of magnets for menopause, besides a few blogs that have reviewed this product over the several years. Based on the information we collected, we do not recommend this product. Neither science, nor a high consumer success rate are on this product’s side. After comparing Femmetrinol to other menopause products on the market, we’ve found it really is the best option for women going through the change of life. This product is made from ingredients like chasteberry, wild yam and black cohosh — known for their ability to help regulate estrogen and progesterone levels and alleviate menopause symptoms. Femmetrinol is made in an FDA-certified lab and contains a safe and potent blend of ingredients, tested for quality on a regular basis. Get a closer look inside Femmetrinol’s herbal formula. Click here to read more. I have only been taking Lady care for a week so far but have been suffering from really bad headaches, feeling nausea and now have common cold. I do realise I have to use the magnet for a few weeks before the benefits will start. But will my systems ease. Hot flushes are quite extreme at the moment. I just started using this, on 5th day and have the exact same symptoms as you Jackie. Not sure what to do at this point after paying almost $90 for this! This is a common effect but it states to drink LOTS of water. Feel better. Don’t buy, this is not a return item if you buy it through the company, they say it is a 14-day return policy but they won’t refund you if you open the box. also for me, this item irritated my skin for when I tried it for one day. Hopefully, Paypal can get my money back under there protecting policy. I had one dizzy spell after using for 1 week. But waking up with a fever and severe cramping, I ripped ladycare off! Not sure if it is related, but I haven’t had a cramp in 20 years, since I had the thermal ablasion done. I have been using Ladycare for 2 months and can honestly say the difference is amazing, it did take over a month to feel the benefits but I no longer have hot flushes or sweats I am also sleeping better and not so moody. I had high hopes for this product. After day six of a blinding migraine, nausea, dizziness and excessive thirst, I have removed the device. I’m hoping to return to my former self within a few days. I too drank water throughout my time using LM. I’m somewhat aggrieved that I cannot return for a refund. 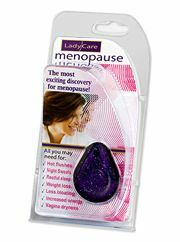 I used the Ladycare magnet about 3 years ago and it completely eliminated my hot flushes. I had years of hot flushes and by using the magnet I felt that I had got my life back again. You do have to give it a couple of weeks to ‘kick in’. Mine stopped working after about 18 months. What I didn’t know then and have found out since from the manufacturer, that if you leave it off for for around 4 weeks and then reintroduce it, it starts to work again. My daughter has an under active thyroid and although on natural medication still has mood swings. She has started using the magnet and is 100% times better. The manufacturer said that they have had feedback from people with thyroid problems that it has worked for them too.